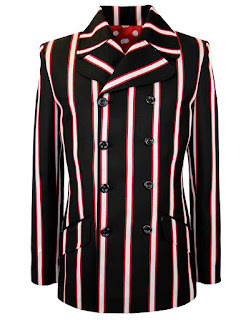 Following on from the history of the boating blazers, here at Madcap England we have a variety of fab boating blazers. 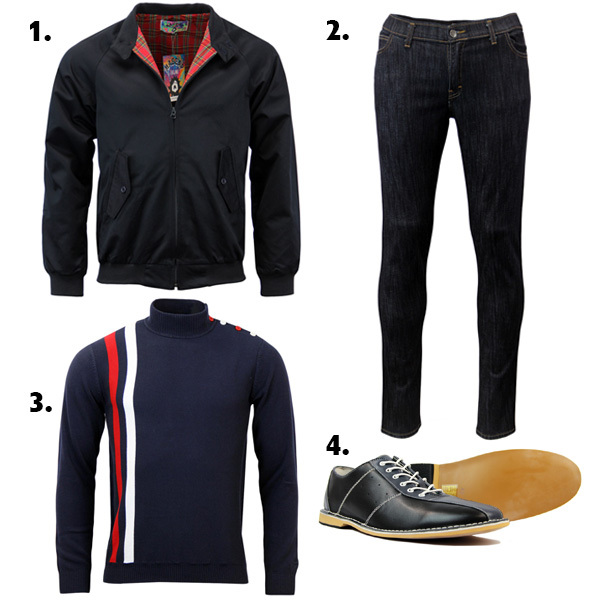 All incorporating the classic 60s Mod styling with bold stripe designs in an array of colours. 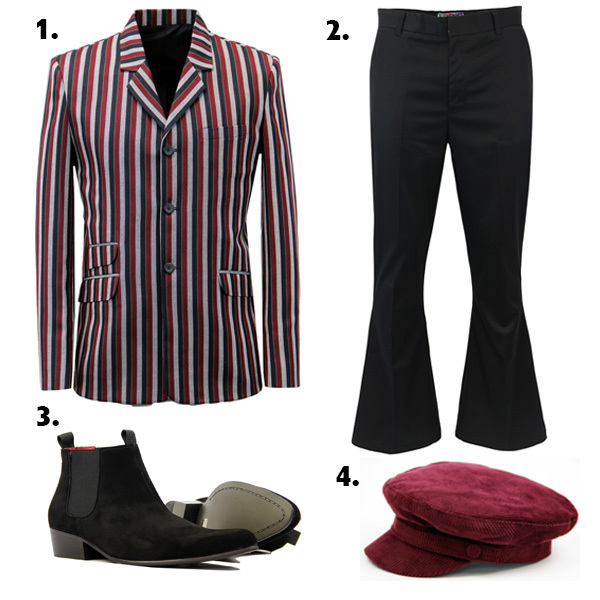 There is definitely a Madcap England Mod boating blazer for you! 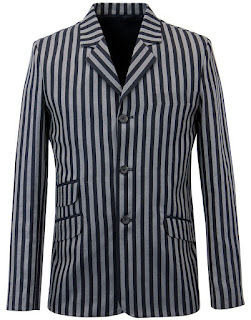 Madcap England newest boating blazer that has just arrived for SS16. The Retro textured fabric finish is achieved by utilising a diagonal strike through, a standard feature of Madcap England Boating Blazers. 1960s Dandy style big collar and lapel add a genuine stand out edge. Retro flap pockets to sides, chunky button detailing to the double breasted fastening. A fine gold Retro pinstripe adds extra colour and the diagonal navy strike though is typical of the Madcap England Boating Blazer weave. Classic Mod 3 button single breasted blazer with slim Retro notch lapel and centre vent to back. Two flap side pockets, Mod right side ticket pocket and left side breast pocket. Stylish slim Retro notch lapel, classic Mod 3 button single breasted fastening. Vintage textured stripe details with diagonal navy strike through adding extra definition to the grey. 3 button non-working cuffs, two flap pockets to sides. Classic 1960s Mod right side ticket pocket, tonal navy lining. Centre vent detail. Left side breast pocket. Madcap England classic boating blazers. 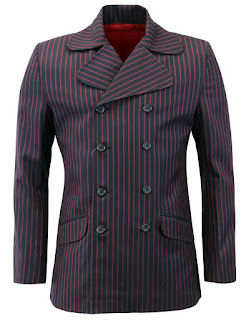 Madcap's own original textured stripe design, and penny polka dot interior that promotes a strong Dandy Mod vibe. Wide Retro lapels and 3 buttons to non working cuffs. 4 button Mod double breasted fasten and classic Retro flap pockets. In a vibrant and classic black, red and white it adds an authentic feel. A cool deep red Retro stripe is expertly enhanced by a cool diagonal fine stripe that runs through adding texture. 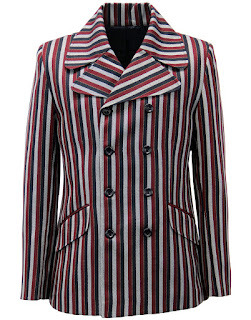 A Striking Sixties Mod jacket, the Howl is a Double Breasted incarnation of the traditional Boating Blazer. Wide Retro lapels with oversize notch detail. 4 button Mod double breasted fasten and classic Retro flap pockets. A cool blue Retro wide stripe is expertly enhanced by a cool diagonal fine stripe that runs throughout in black. This is paired with a cool black wide stripe. The wide stripes are then flanked by a striking silver. Wide Retro lapels with oversize notch detail, 4 button Mod double breasted fasten, classic Retro flap pockets. Madcap's own original textured stripe design, and penny polka dot interior lining. Slim Retro notch lapels and 3 buttons to non working cuffs. 3 button Mod single breasted fastening, classic Retro flap pockets (including the essential Mod right side ticket pocket. 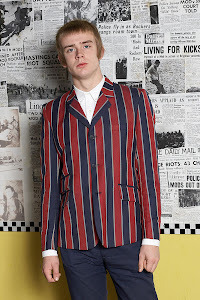 Boating blazers are a massive part of Mod culture. They manage to combine a smart an sophisticated look with cool Ivy League style. With their bold striped design and tailored fit they were won over by the Mods during the 60s and to this day you will always find a boating blazer in a Mods wardrobe! You would never think that the first blazers were originally worn by American students for athletic needs! With their tailored cut now a days you would never be able to wear one for sport! Blazers were first introduced for rowers from Oxford and Cambridge. They were used when competing in rowing races and meant to keep the rowers warm on chilly training sessions and were loose fitting so it wouldn't restrict movement. They were first in plain block colours but soon the bold colours and stripes were introduced and which were used to identify which team were who when competing. The blazers soon became a fashion trend and rowers wore them on college grounds. 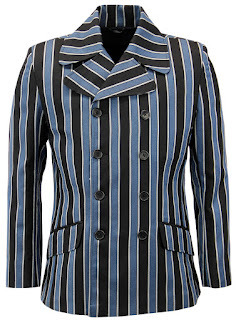 The Ivy League blazers often featured bold stripe designs in an array of colours. 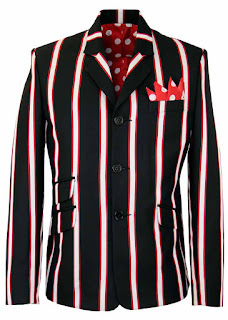 Some had contrast piping which was iconic of the American rowing blazers. They were all finished with a college crest to chest which was used to differentiate the colleges. 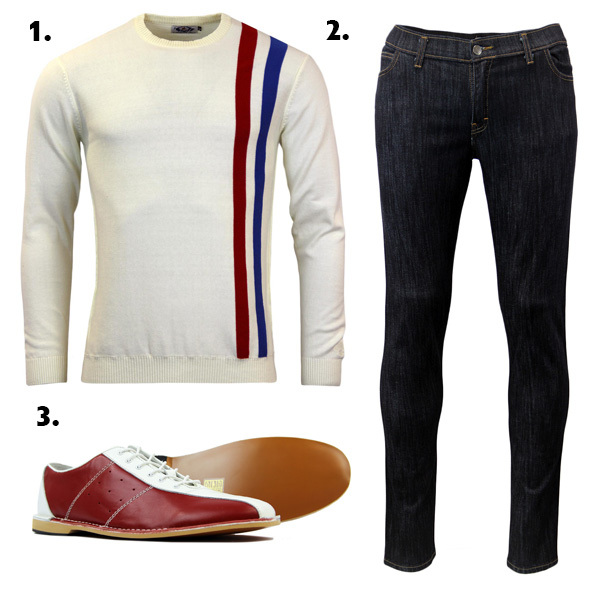 American students in the 50s/60s undeniably set fashion trends and the Ivy League look soon became popular with Mods. 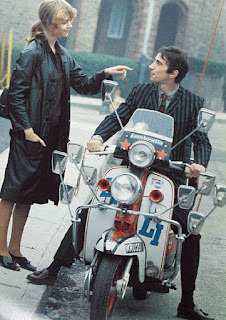 Mods often took cool clothing and made it their own. They adapted several American Ivy League looks like penny loafers, merino sweaters and of course the boating blazers. 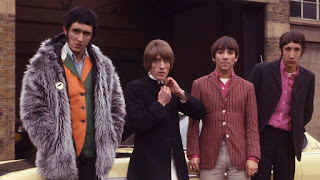 In the early 1960s the boating blazer became a crucial part of a Mods wardrobe. In an array of colours and bold stripe designs; boating blazers soon took over 60s Boutiques on Kings Road and Carnaby Street. Mods adapted the style and lost the college crests, added an extra ticket pocket and often were made into a slim cut. Icons during the 1960s often sported a statement boating blazer. Idols of the 60s set the trends and many young British Mods wanted to get their look. From classic tailored sophisticated blazers to daring colourful blazers, your Mod icon was sure to have a boating blazer in their wardrobe! 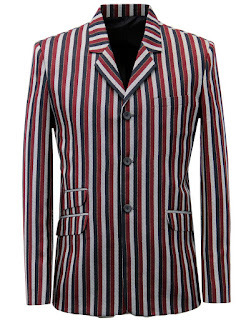 Keith Moon from The Who sported a 4 button boating blazer in a vibrant colour way. A definite statement item which he has teamed with a pink shirt! Eric Burdon from The Animals was spotted wearing a classic boating blazer. With fine stripe detailing and a slim fit cut it sure adds a sophisticated look to a casual outfit. During the Mod Revival in the 70s, the boating blazer was still an important clothing piece. A statement item, that was guaranteed to give you a smart but cool look. 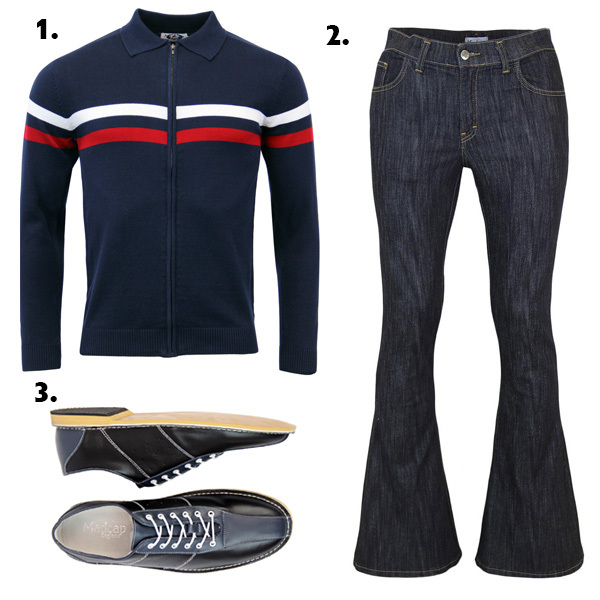 As well as bringing 60s music back to life, many Mods brought the clothing back too. It was all about parkas, polos and boating blazers and many Mod Revival idols rocked a boating blazer. 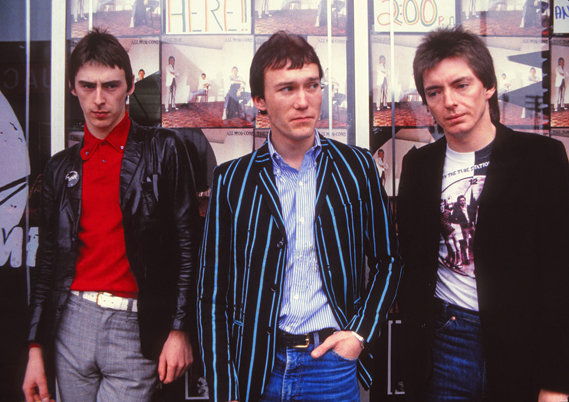 The Jam are massive icons of the Mod Revival. They brought classic 60s music to the 70s along with style! Rick Buckler sported a vibrant navy and royal blue boating blazer, with casual jeans and shirt. 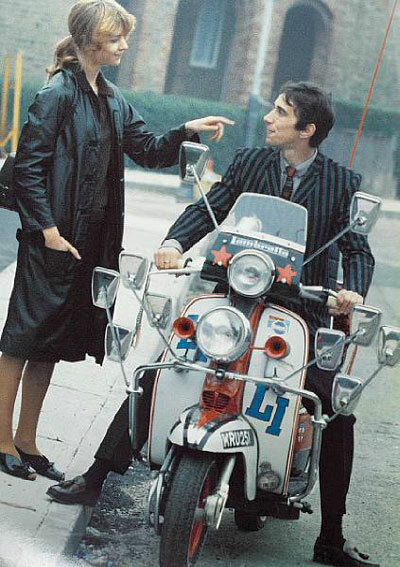 An iconic scene in the film, Quadrophenia the main character Jimmy out of is sporting a fab boating blazer whilst on his scooter. To this day a boating blazer is still popular within American collegiate students but is also still very much a statement item for British Mods. You can get so many different boating blazers in an array of colours and designs! 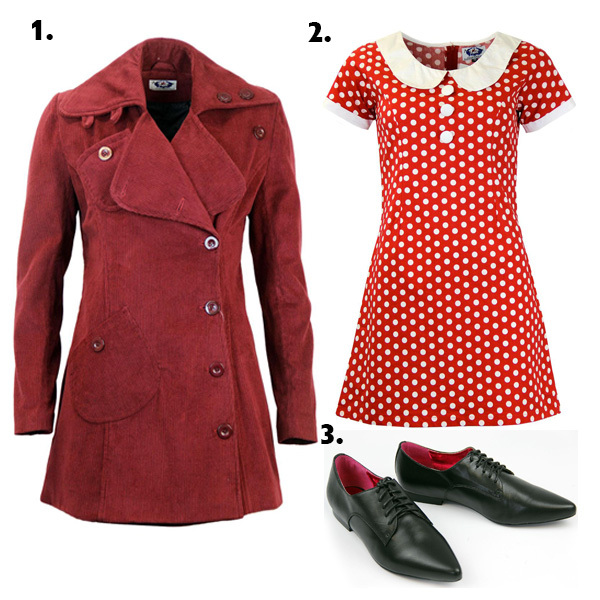 Here at Madcap England we have a fab section of awesome Retro clothing that can be teamed together to create some ace outfits! We have done the easy bit and put together outfits with our fave items, all you have to do is check them out below! Here at Madcap England we have a fab section of gorgeous Retro clothing that can be teamed together to create some fabulous outfits! We have done the easy bit and put together outfits with our fave items, all you have to do is check them out below! Here at Madcap England we have a range of awesome shirts. 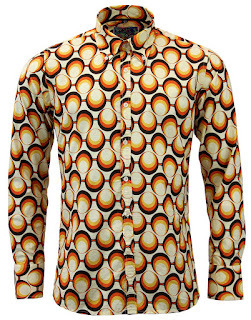 In an array of prints, colours and styles - there is the perfect Madcap England shirt out there for you! 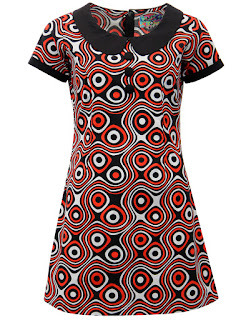 With 60s inspired prints and styles they are all packed with Retro & Mod style! 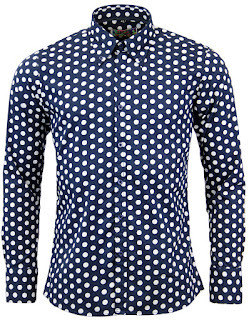 These fab shirts all feature a Mod button down big collar, classic button placket and neat button cuffs. 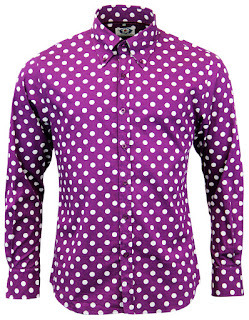 These ace shirts feature an all over psychedelic 60s polka dot print with a large button down collar. 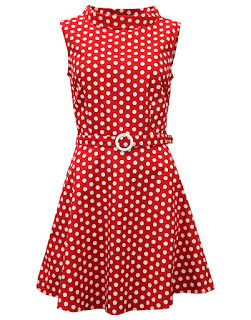 Some new gorgeous Retro dresses has arrived at Madcap England. With fabulous new prints and styles, they are perfect for Summer! All packed with stunning 60s chic styling with more than a hint of Mod influences. From polka dots to op art, these fabulous dresses are the epitome of 1960s Boutique Fashion. 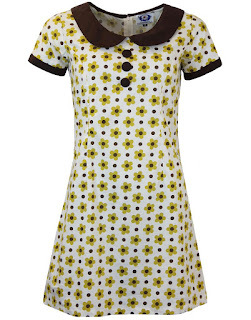 A stunning new style and pattern, this fab mini dress features block colour trims with a 60s floral circle op art pattern. 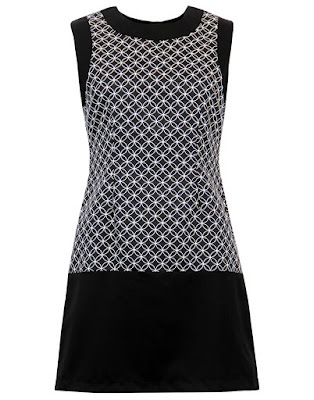 In a lovely monotone colour way, its perfect for parties this Summer. 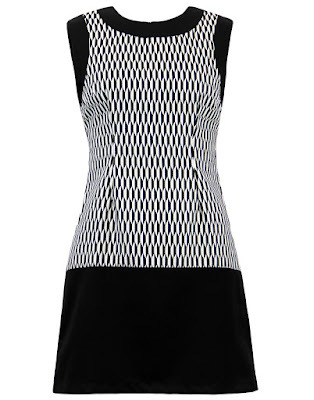 A gorgeous new shape and pattern this mini dress features block colour trims combined with a stunning harlequin style op art design. In a fabulous monotone colour way, it's great for any occasion this season! 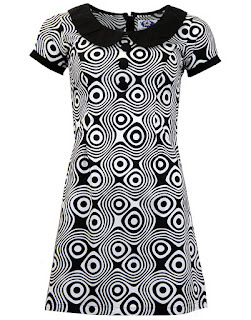 Re-using two classic Madcap England shape and print this fabulous mini dress features a circle op art print with authentic 1960s style buckle belt. 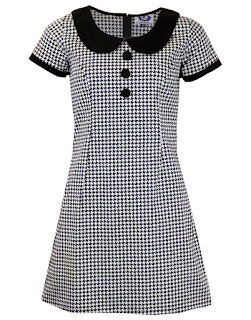 In a fabulous new shape this amazing baby doll dress features a cute Mod Peter Pan collar. 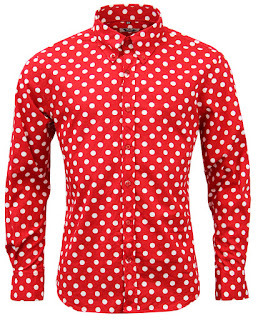 In a classic polka dot print its sure to add a splash of colour to your Summer. 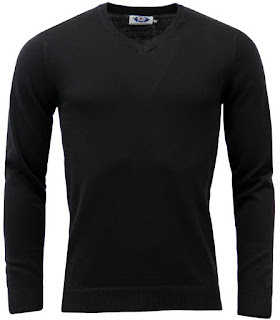 Style of the week is the stylish Madcap England 'Redford' v-neck jumper! 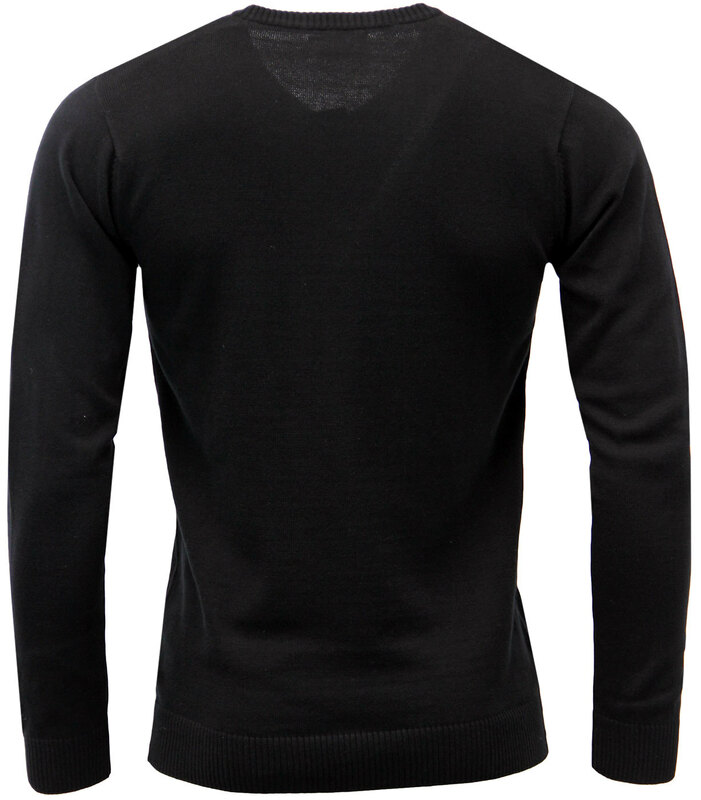 A sophisticated piece, which is part of the Kings of Cool Collection. Packed with classic Retro style and hints of Ivy League charm. This timeless Mod Clothing staple from Madcap England is sure to bring a suave and sophisticated look to all manner of Retro attire. Team with a button down shirt and a tailored blazer for a fantastic look! 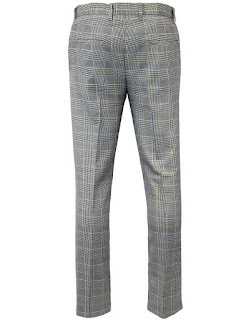 New in for Spring/Summer are these ace Madcap England 'Jagger' drainpipe trousers! Featuring the iconic Prince of Wales check design throughout they are a must have for any Mod clothing connoisseur. 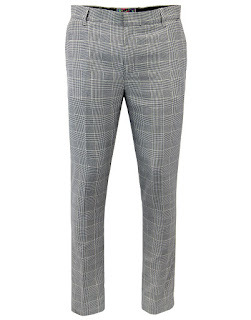 'Jagger' slim drainpipe trousers conjure up images of 1960s sartorial style. Shades of Ivy League nostalgia fused with a Rock and Roll edge. With 4 pocket detailing, classic belt loops and of course the fantastic POW check throughout they are a must have for your Retro wardrobe. We like to think of The Rolling Stones on Ready Steady Go, camera panning into the audience, cool threads on stage and on the dance floor. Stylish and sophisticated, a truly timeless style - 'Jagger' slim drainpipe trousers by Madcap England. 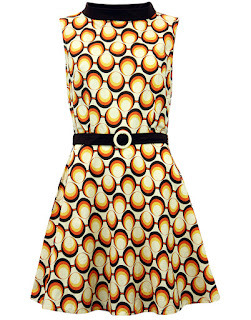 Madcap England 'Minnie' Dress Is Back In A Fab New Print! 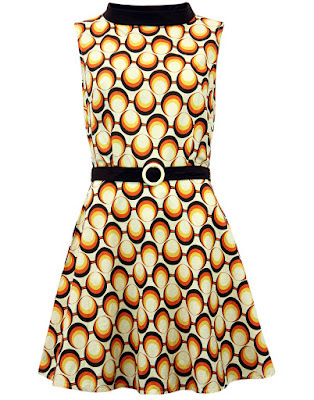 The Madcap England 'Minnie' dress is back in a fab new print! Once in the psychedelic Retro polka dot design, it is now available in a gorgeous striking Retro Geo circle print which is packed with 60s and 70s inspiration! Both Madcap England mini dresses feature a Vintage collar stand that adds a demure and sophisticated look. Fitted bodice with Retro flared skirt. The classic belt detail adds an extra fitted dimension and is accentuated by a cute contrast white rounded buckle, a homage to 1960s Mod boutique style. Linked together like marble-esque beads, a vivid circle pattern helps create a hint of Sixties Pop Art nostalgia that expertly interacts with the Vintage Seventies colour combination. 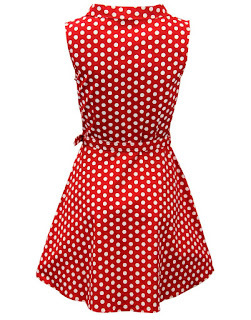 This fabulous 'Minnie' dress is an essential for Summer! 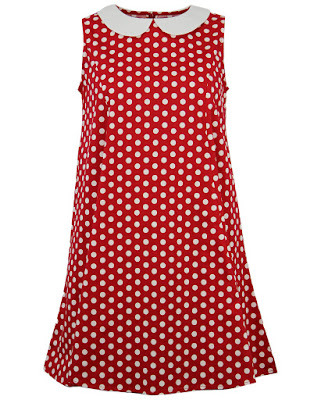 The original Madcap England 'Minnie' polka dot dress! 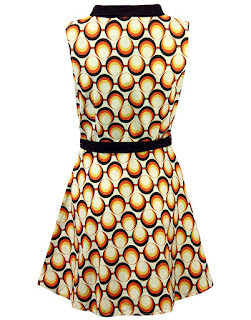 The new Madcap England 'Minnie' geo circle dress! 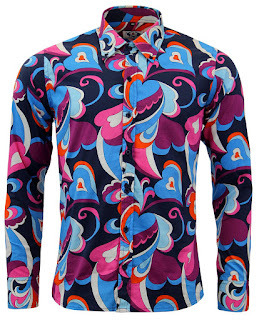 The iconic Madcap England 'Trip Op Art' shirt is back in two fab new colour ways in time for SS16! 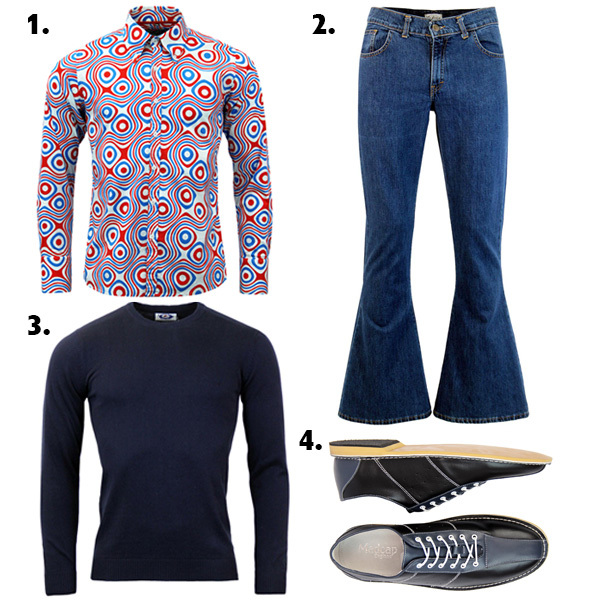 Keeping the classic 60s psychedelic style with a hint of Indie influences. 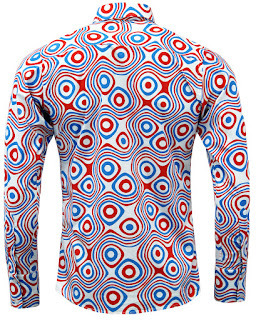 The bold swirling Sixties Op Art print was so popular it's now available in Black, White & Red and Red, White & Blue! 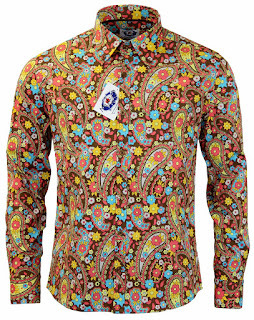 The fab Madcap England shirt has 1960s Psychedelia merged with the cocky swagger of Jarvis Cocker strutting his stuff in the Nineties Britpop arena. 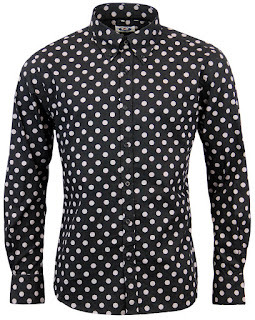 The classic Mod big button down collar adds a fab 60s finish to the shirt. 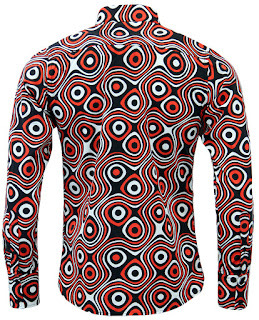 The swirling Op Art print looks fab in the two new colour ways, it's sure to add a touch of colour for the Summer! 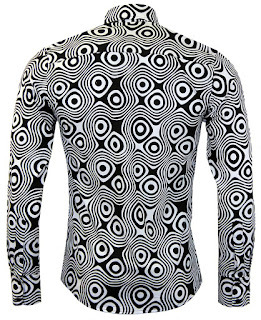 The 'Trip Op Art' Retro shirt by Madcap England is sure to add a dashing look to any casual Indie ensemble. Time to have one hell of a Trip! 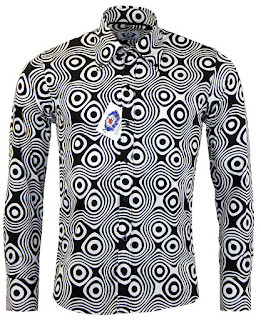 The original Madcap England 'Trip Op Art' shirt in black and white. 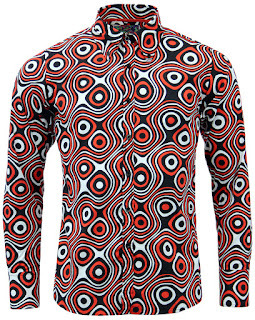 The new Madcap England 'Trip Op Art' shirt in black, red and white. 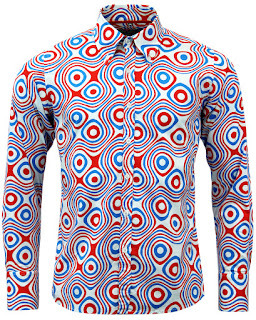 The new Madcap England 'Trip Op Art' shirt in red, white and blue.